I have actually been out of the office more than I have been “in” for the past couple of weeks. Let me give you a quick update. I spent a couple of days in Ogallala last week at some meetings. Yes, of course I did some fishing when I could. I can tell you that several of the guys at the meeting fished McConaughy and the bite is tough. 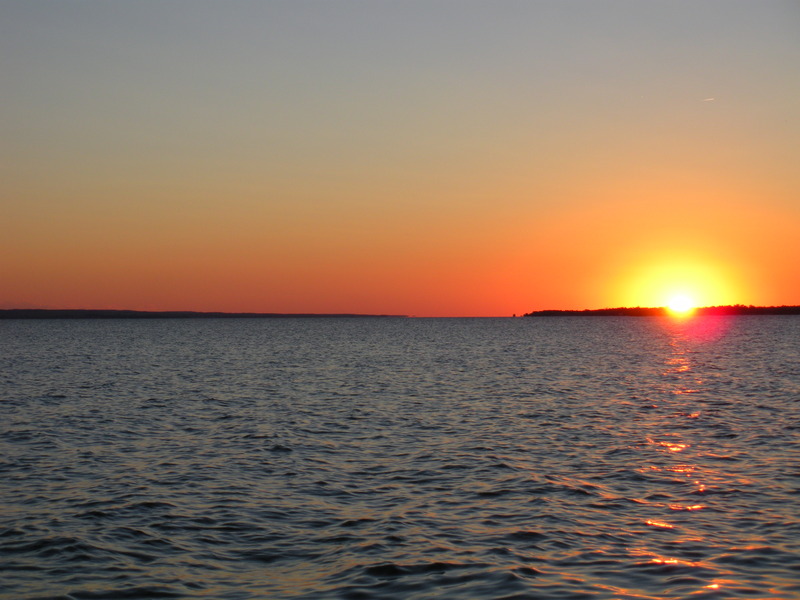 I caught nothing the evening I fished up on McConaughy; some of the other guys scratched a white bass, wiper or channel cat here and there, but not many, and no walleyes. You probably have heard me say it before, but ironically the fishing actually gets tougher when water levels finally come back up in a reservoir like McConaughy. All of a sudden the fish that had adapted to the smaller habitat when water levels were low have a lot of new water to roam around. On top of that, as the water comes back up after being down for as long as it was at McConaughy, it floods acres and acres of vegetation that grew on the exposed reservoir bottom. So, not only do the fish have more area to inhabit, but much of that new area is flooded vegetation. Fish love that newly flooded habitat, it is very productive, full of fish food, so they move right into the acres and acres of cover where they are well-fed and harder to catch. The good news is the higher water produces ideal habitat conditions and the fishery in McConaughy will benefit for years to come! Good to see McConaughy back to the way I remember it--water stretching clear to the horizon! I did slip down to Lake Ogallala briefly. I saw a bunch of trout down there, some of them rising to insects. I did not have the fly-rod nor all of my trout gear, but I did manage to get several fish to chase a small crankbait and finally I hooked one, a healthy 12-incher. 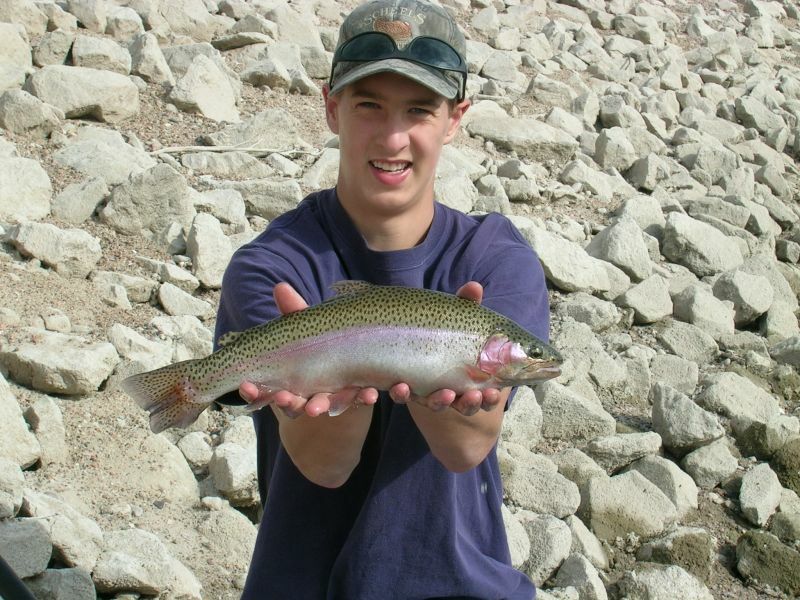 The Lake Ogallala trout fishery is well on its way back to producing fish like this again! On the way home I stopped by Sutherland Reservoir to fish for a little bit. I found the white bass up on a wind-blown shoreline and very willing to bite. In fact they “sucked me in” and I ended up fishing longer than I intended. I was having too much fun catching fish and experimenting with different baits. The white bass were mostly 10-12-inch fish, nothing huge, but the action was consistent. I saw shad of a variety of sizes, but apparently the white bass were “zoned-in” on the smaller shad, because I could only get them to hit smaller baits. The shad they were eating were only a couple of inches long and that is the size of bait they wanted. The wind was kicking up a good mud-line and the white bass were hammering the shad in that dirtier water; something with a little flash worked best and I believe that type of bait was probably a little more visible in the muddier water. By the way, I am thankful I am not a gizzard shad, everything likes to eat gizzard shad; I also caught a carp and a channel cat that were right in there feeding too. Late summer and early fall produce excellent white bass fishing. Some of the best bites I have heard of recently, besides Sutherland, have been at Calamus and Lewis & Clark. Do not forget to look here if you want some more suggestions for some of our best white bass fisheries this year, http://outdoornebraska.ne.gov/fishing/pdfs/FishForecast.pdf . The meeting I attended was a get-together of our fisheries management staff from around the state. We have 5 regional offices around the state with fisheries management staff working out of each office. I will be telling you, soon, about some of the fisheries management activities that our regional “fish guys” are doing. Stay tuned!